Mix together almond flour, eggs, honey, yogurt, coconut oil, baking soda, salt, cinnamon, and almond flavor. 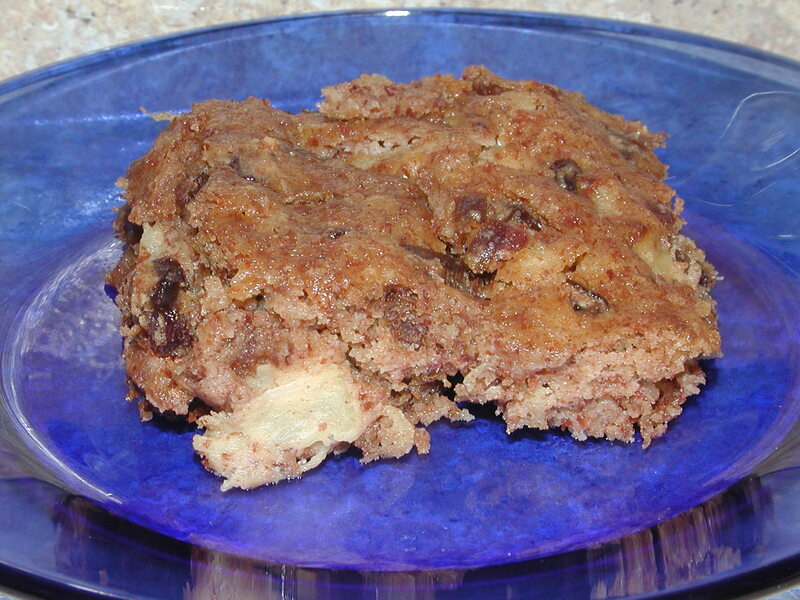 Stir in raisins, dates, pineapple, and pecans. Spoon into two 9×13 pans, greased with coconut oil. Bake at 350 degrees for 35 minutes. Let cool completely before removing from pans. Enjoy!